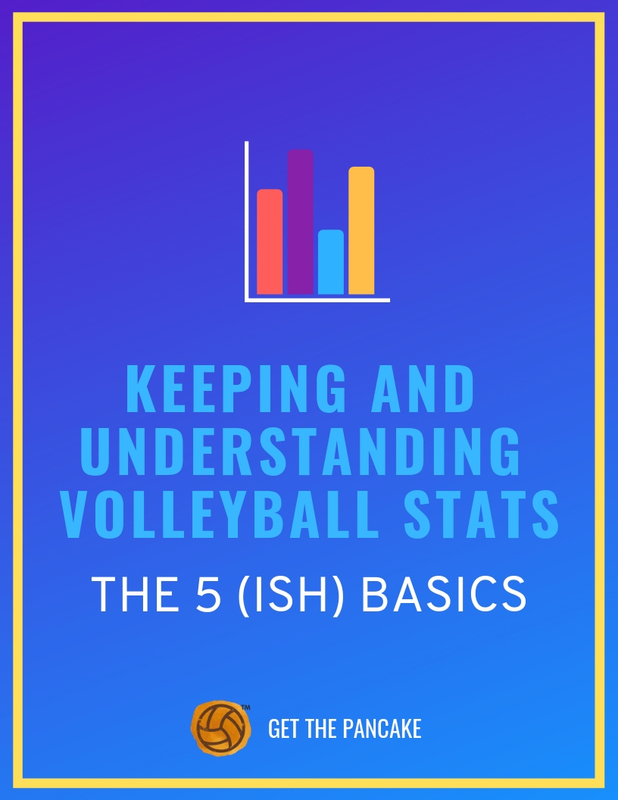 Before I give you your free volleyball stat sheets, I want to make sure you know about all of the stat-keeping resources we have here on Get The Pancake for you to use! After you download your stat sheets, I want to make sure you know how to USE them! That’s why I wrote an overview of the main statistics coaches track. You can find that article here. 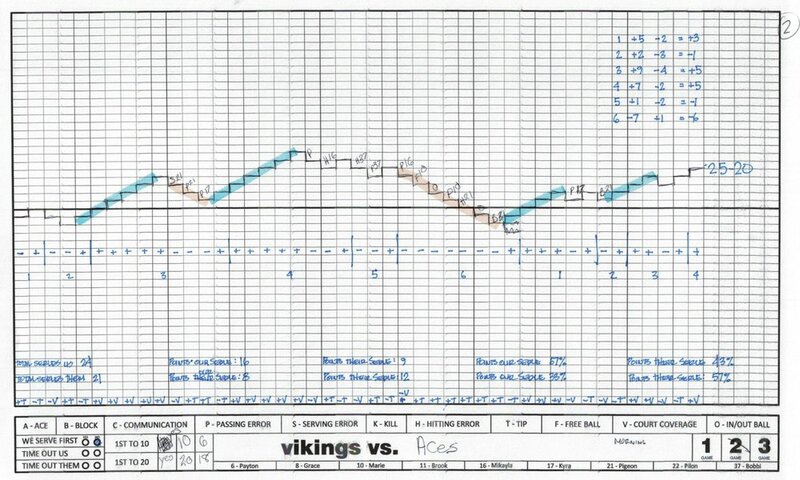 If you’re looking for something a little more advanced, I’d highly recommend you check out this article on using a Game Graph. If you struggle with knowing when to call a timeout in volleyball, or just want to track your team’s momentum, this could be an awesome tool for you to use during matches! Finally, if you’re a parent looking for something a little more basic to help you track your child’s statistics (without having to keep track of every contact on the ball) you can get this individual stat sheet, available for download in the shop for only $1.99. Now that you know how many options we have for you here on Get The Pancake, here’s your free club volleyball stats sheet and your middle school and high school volleyball stats sheets!